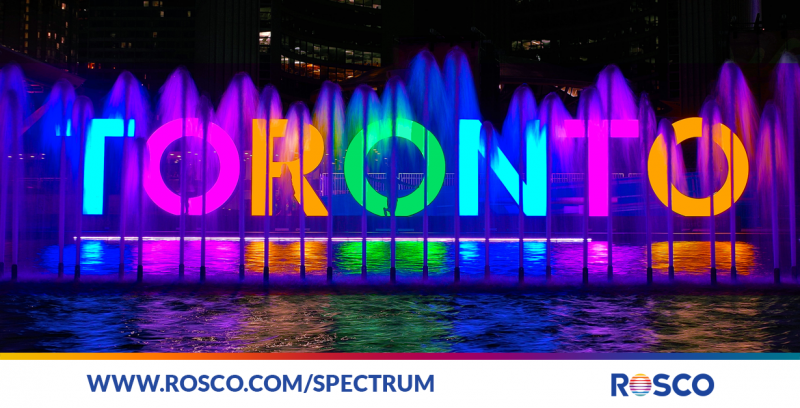 The multi-colored, dimensional sign spelling out ‘TORONTO’ has become one of the city’s most photographed icons – for locals and tourists alike. 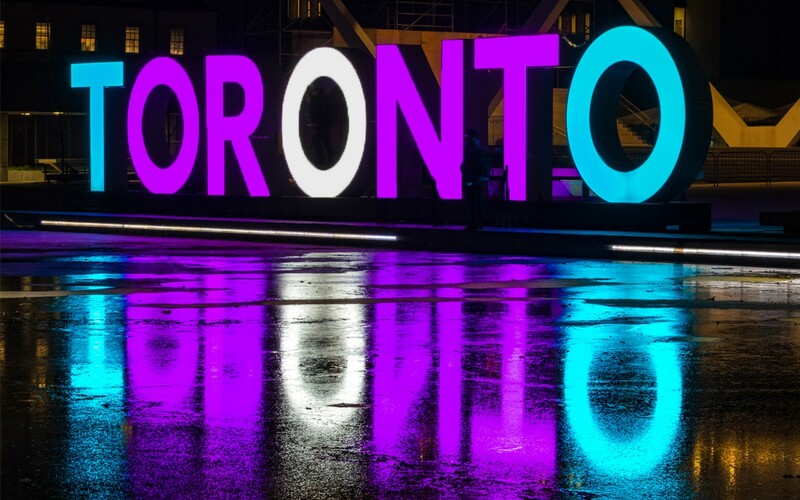 The sign, which was originally commissioned by the City of Toronto for the 2015 Pan American/Parapan American Games, was constructed by Unit 11 Custom Staging. 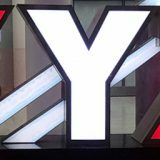 It is comprised of three-dimensional letters in Azo Sans Bold font, each measuring about 3 x 3 m (10 x 10 ft), for a total sign area of 3 x 22 m (10 x 72 ft) that is situated in the middle of a reflecting pool within Toronto’s Nathan Phillips Square. 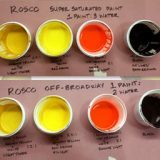 To achieve the sign’s multi-colored, LED illumination, I decided that this would be an excellent project to utilize the RoscoLED® Tape VariColor: RGB+W Kits that I was developing for Rosco. While the letters were being constructed in the Unit 11 shop, my team over at TAD Lighting Services assembled the boards of VariColor RoscoLED Tape that would live inside and illuminate the letters. The brilliant, glowing design allowed for ample airspace inside the letters, which helped keep the emitters cool – even during the hot, humid Toronto summer days. 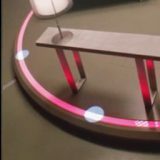 Individual power supplies and DMX decoders were installed inside each letter and addressed individually, which allows color control of each individual letter. 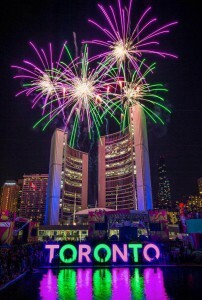 During the “Panamania” events of the 2015 games, the letters were programmed to flash and change colors in sync with the fireworks spectacular that ended each night of both the Pan AM and the Para Pan Am Games. 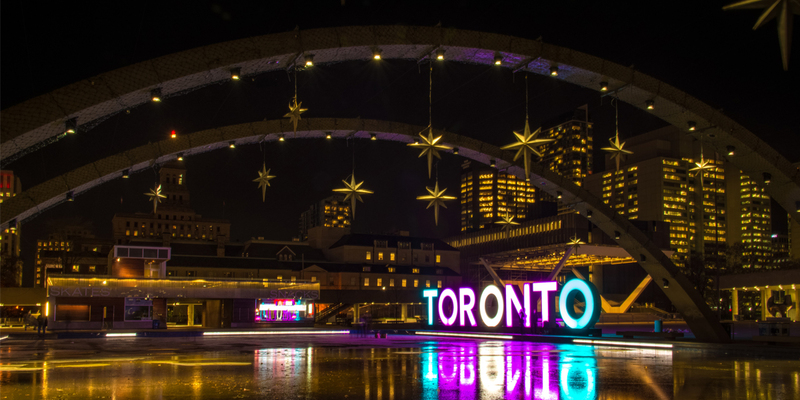 Since its installation in July of 2015, the RoscoLED® Tape VariColor has tirelessly illuminated the iconic TORONTO sign as it has become a source of pride for all Canadians, glowing and reflecting in the water and ice of Toronto’s City Hall Reflecting pool. The city continues to put its TORONTO sign to work. 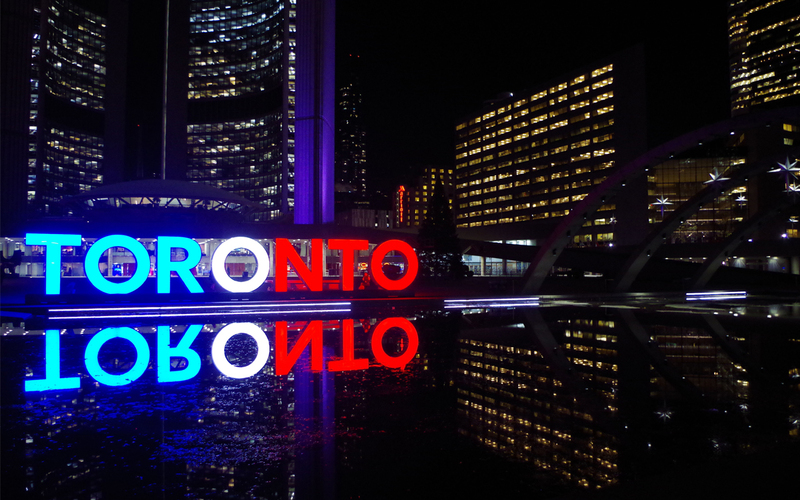 The sign has changed colors for various holidays and events, it went dark to memorialize the death of Toronto mayor Rob Ford, and the city showed its solidarity with Paris after the terror events of November 13th by turning the letters Blue White and Red to match the colors of the French flag.